The tragic unexpected loss of a dog is always painful. 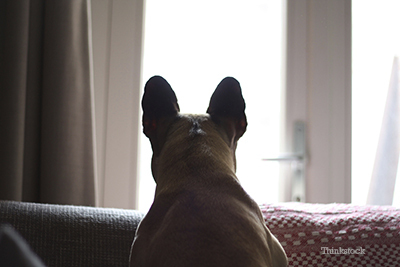 Most of us don’t think of our dogs suddenly dying with no warning, but it does occur. Understanding what happened and how it happened are a significant part of closure to our loss. In a study of autopsies performed at Purdue University Small Animal Diagnostic Laboratory1 over a five-year period, nearly 10 percent (112 cases) had been associated with sudden unexpected death. None of these dogs had a history of existing disease. A similar survey had been published in Canada and resulted in similar figures2. Unfortunately, in spite of all efforts, some causes of death remain undetermined. However, it is always good to pursue a cause of death for your own peace of mind and to protect other pets. Toxins may also be involved but no one toxin is more likely to have caused a dogs death than others. Here is a deeper look into some of the results from the Purdue University study. Heart disease: Cardiovascular diseases including primary myocardial or heart muscle degeneration, necrosis, hypertrophy, fibrosis cardiac vascular disease, heart tumors, valvular/congenital anomalies and cardiomyopathies can lead to sudden death. Cardiac associated tumors include hemangiosarcomas but other cancers may be less apparent and can also be a cause. Primary cardiomyopathies represented about 6% of cases in the study and sudden deterioration of valvular disease that has been present for some time can lead to rapid death. Gastrointestinal disease: Most gastrointestinal diseases result in death over a short amount of time, but are rarely sudden. Sudden cases of parvovirus with no clinical signs, intestinal torsion or volvulus all can result in a rapid deterioration and ultimate death. Trauma: There were 9 out of 112 dogs that were found to have died from unobserved trauma. Even dogs confined to a fenced area might find their way to the street or fall from a height. Respiratory diseases: Pneumonia, pyothorax and infiltrative diseases may seem sudden in onset but most often have been present for some time before death. Make sure your dog receives regular checkups to keep him safe. Neurologic disease: Encephalitis and meningitis may be associated as causes of death but have most likely been present and symptomatic for a time before death. Seizure disorders do not result in death unless they persist for an extended time. Urinary disease: Although urinary diseases such as infections and obstructions can be associated with death they do not cause sudden death. Poisoning: Poisoning, either malicious or inadvertent, frequently comes to mind in cases of sudden death but as stated, malicious poisoning in this study was uncommon. Only 6 of the 112 dogs examined were found to have died from poisoning -- all likely inadvertent. Unfortunately over 20% of cases had no determination of the cause of death. Nonetheless, every effort should be made to find the cause of unexpected death be it sudden or not. This is important for your personal peace of mind as well as for the protection of other pets. 1. Dr. Bill Wigle. "Diagnositc Profiles: Sudden Death in Dogs.” Purdue University Small Animal Diagnostic Labratory. Summer 2012. 2. ”Causes of sudden and unexpected death in dogs: A 10-year retrospective study.” Olsen TF and Allen AL: 2000. Can Vet J 41:873-875.